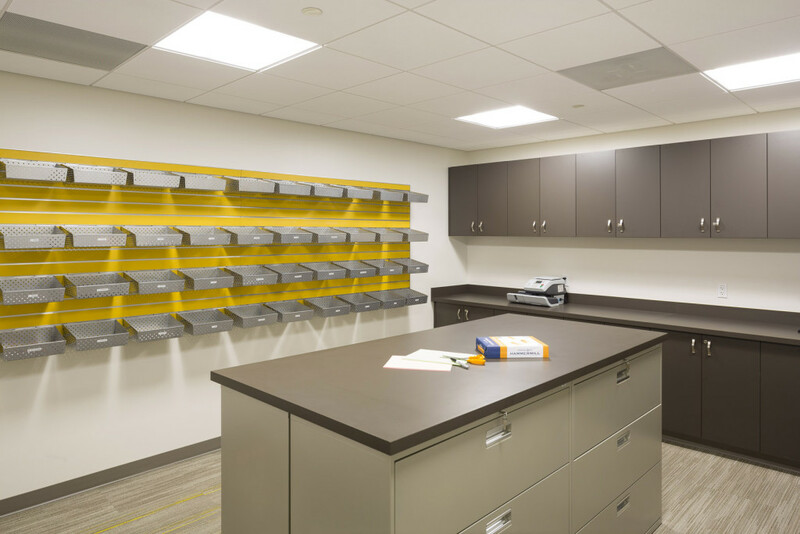 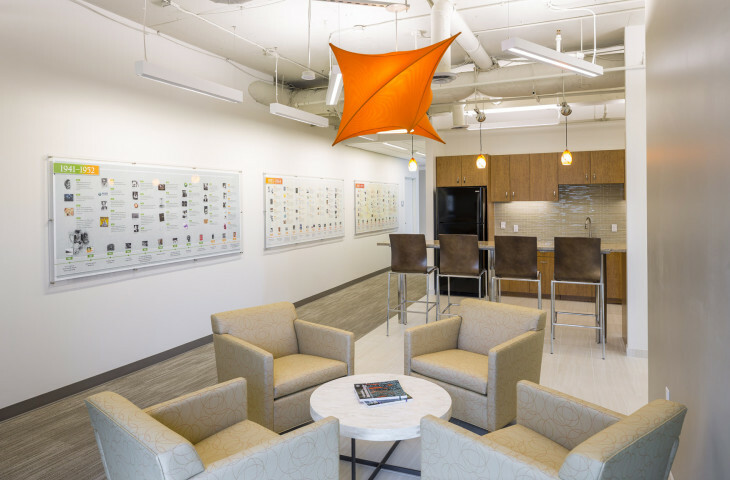 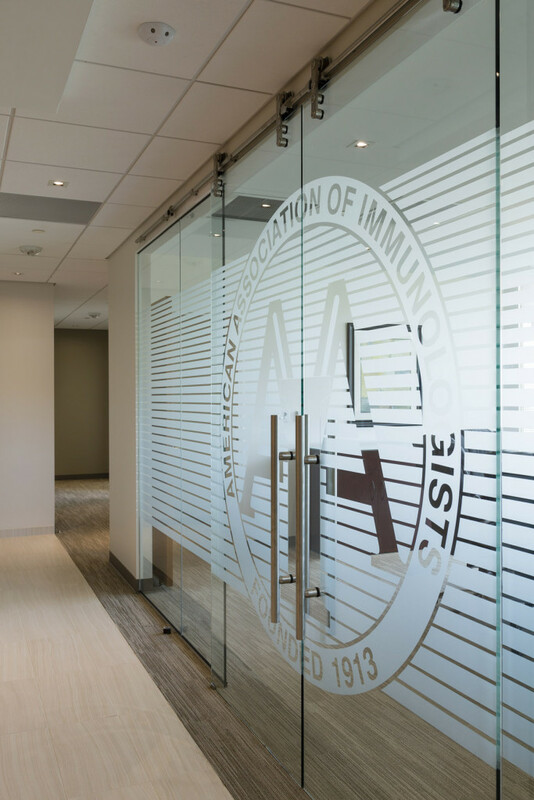 GTM designed the office of the newly relocated headquarters for the American Association of Immunologist (AAI). 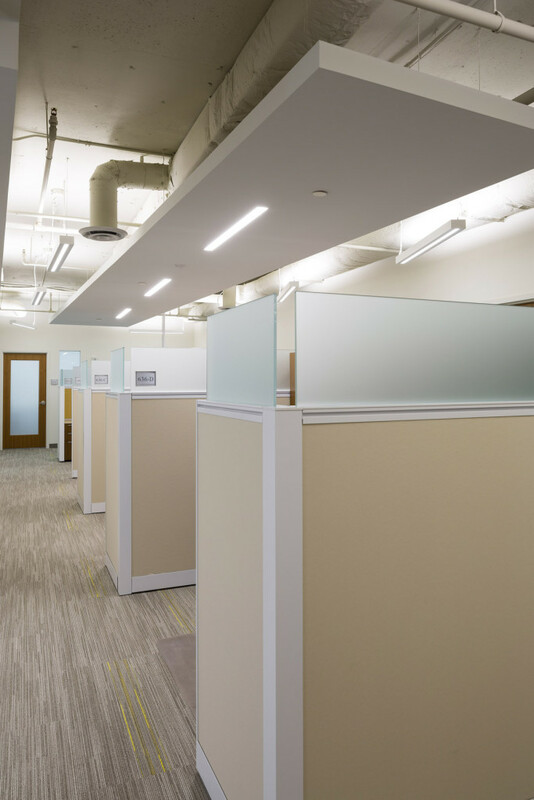 The existing space was a white box space, so GTM was able to collaborate with AAI to customize every area of the new suite to suit the needs and vision of both the organization and the individual employees. The inclusive design and atmosphere desired by AAI needed to be warm, inviting and inspiring for each employee’s working day. 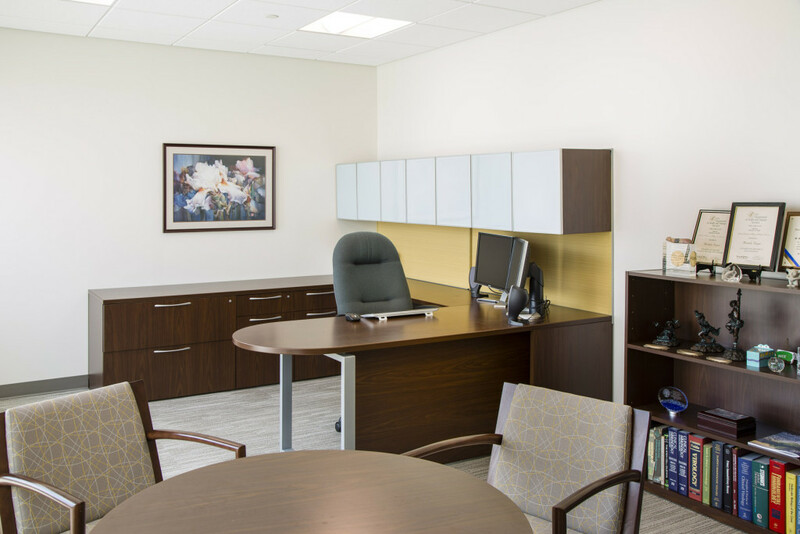 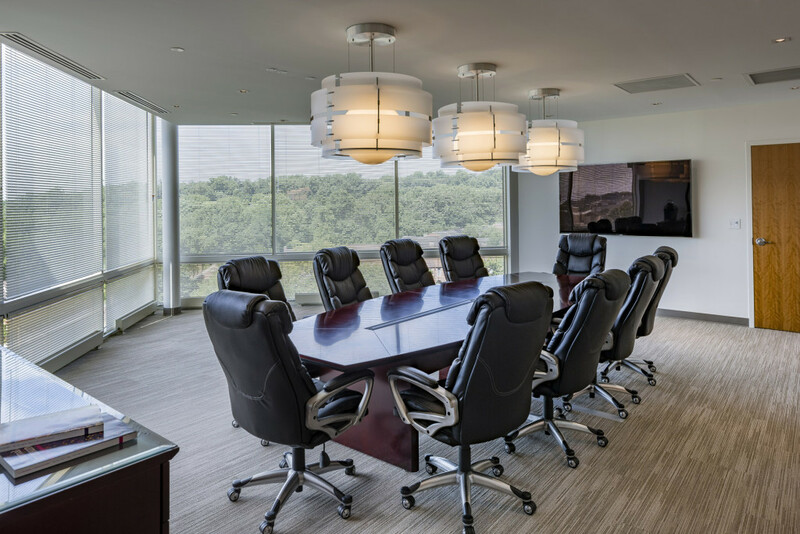 GTM achieved this through maximizing natural light throughout the suite by using glass sidelites at every office and leaving wide corridors for an open feel. 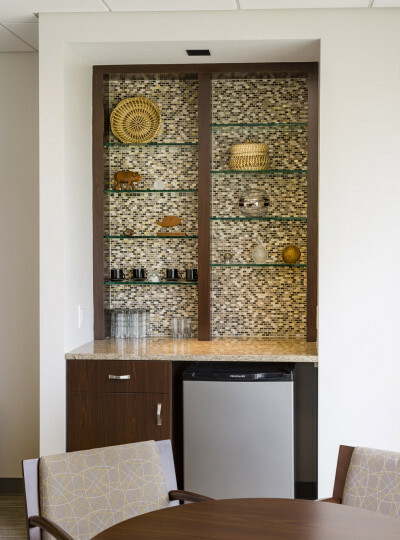 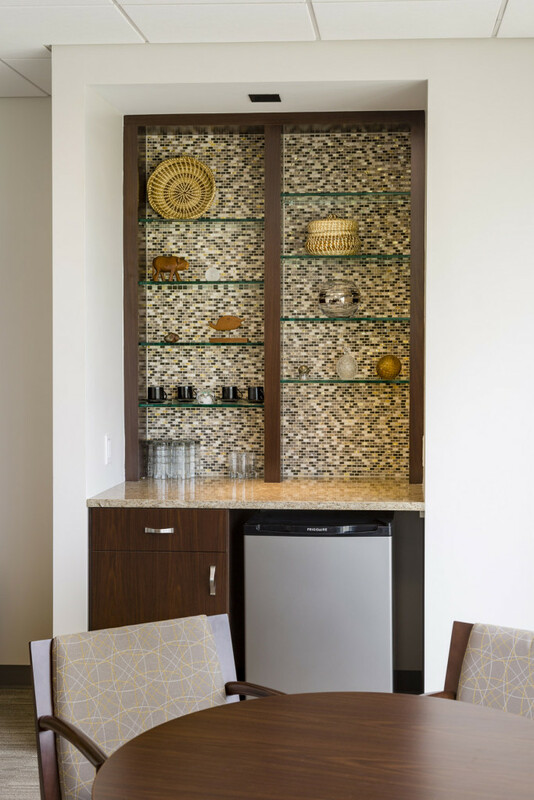 A spacious kitchen with trendy light fixtures, access to an outdoor balcony, and lots of seating was developed. 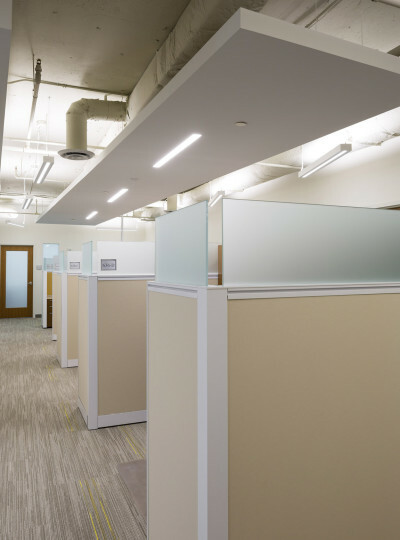 GTM also focused on selecting a warm-toned finish palette, including carpet, tiled backsplash accents, furniture and paint with pops of yellow, and an eco-friendly Eucalyptus veneer feature wall & ceiling in the reception area. 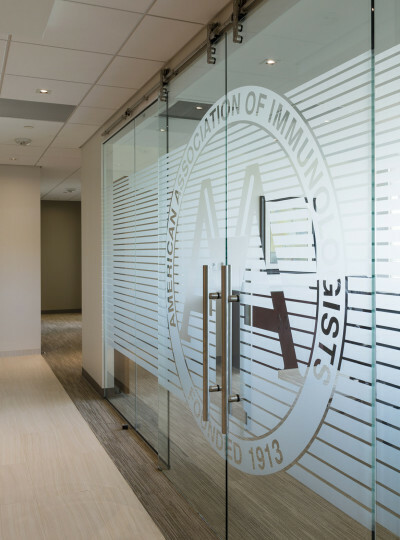 The inviting atmosphere continues into the conference room with sliding glass doors, glazed in custom privacy film that incorporates the company’s logo; when opened, the conference room blends with the reception area to become one large and unified space – a feature requested by AAI for hosting events.